I want to personally thank you and the staff of Neeser Construction, Inc. for the utmost cooperation and quality workmanship over the past fifteen months in the construction of the Anchorage VA Outpatient Clinic/Regional Office. I still marvel at the timely completion of the project given all the constraints that you had to work under. Your cooperative nature and willingness to work with us make all the difference in the world as far as getting the job done. Had it not been for the qualities you exhibited as a key player in this entire process, I am afraid that we would still be waiting to move in. 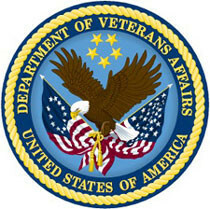 Again, I want to express my appreciation to you and all your employees for making the Anchorage VA Outpatient Clinic/Regional Office a quality place in which to work and provide the highest level of patient care to our veteran clientele.